To Sum It Up: Jacob's childhood was filled with magical stories told to him by his grandfather, whose own childhood inspired the tales. 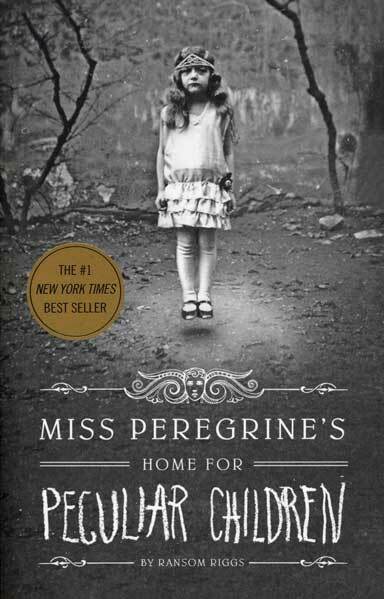 These magical stories center around a magical house filled with peculiar children hiding from grotesque monsters. Naturally, Jacob grows out of these stories, but when a terrible accident occurs that kills Jacob's grandfather, Jacob doesn't know what to believe. His grandfather's last words send Jacob on a trip to the island of his grandfather's childhood to get some well hidden answers. Review: My expectations of this book included creepy children and a horror story that would keep me up all night. I was excited to read a scary book, so when I found my expectations squashed, I was surprisingly not disappointed. It goes to show that you really can't judge a book by its cover. 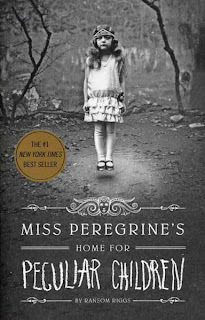 Miss Peregrine's Home for Peculiar Children turned out to be a thrilling adventure with charming characters and a unique twist. This book was so fresh and original that it's hard not to fall in love with it. Not only does it have a super-interesting historical background, but it also features time loops, monsters, and kids with an extraordinary secret. The book was so well paced that there was never a time when I was bored. It's one of those books that starts off really good but keeps getting better as you continue reading. The creepy photographs also add to the overall greatness of the book. The photos give you something solid to connect the crazy plot with. The characters are also easy to love. Each one has a distinct personality. It's easy to get annoyed with main characters, but I really liked Jacob. He is never annoying, and he is a true hero. Even though he doubted himself for quite some time, he never let his fears get in the way, and I really respect him for that. I can honestly say that I cannot wait for the next book to come out. The ending was exciting, a little sad, and leaves the characters to embark on an even more dangerous and exciting adventure. All in All: I really, really, really liked Miss Peregrine's. It's the best book I've read since Vampire Academy. I will recommend this to anyone who will listen (I made my grandma read it, and she liked it just as much as I did.). This is the kind of book that everyone loves. I can't wait to buy my own copy! Great review! I had seen this book and also imagined a super scary book. Definitely not what I was expecting but it sounds really good! thanks! I've had this loaded on my kindle for a while, but haven't read it yet. Glad you rated it so well! Thought I would drop by to read your thoughts on the first one, and boy this was a long time ago. However I definitely know I will be adding it to my wishlist now, I do not know why I have not before now, it sounds fabulous!